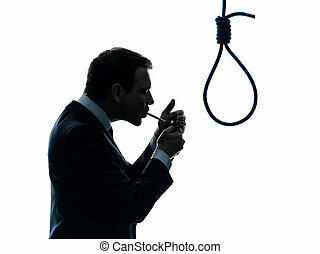 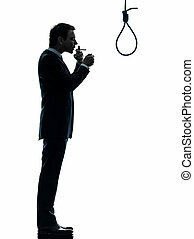 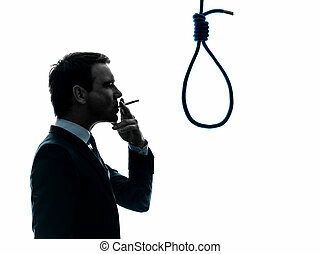 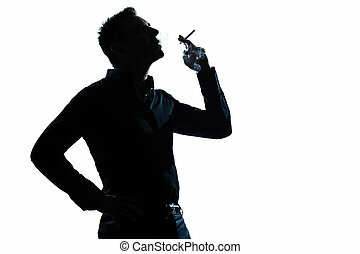 Man smoking cigarette silhouette. 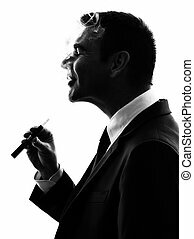 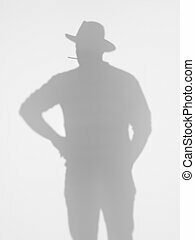 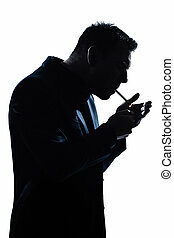 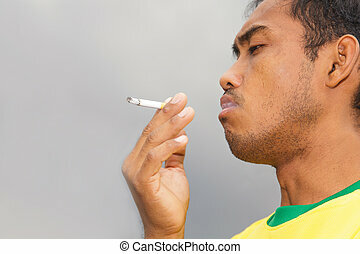 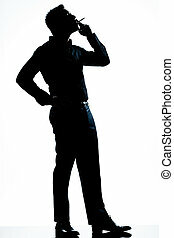 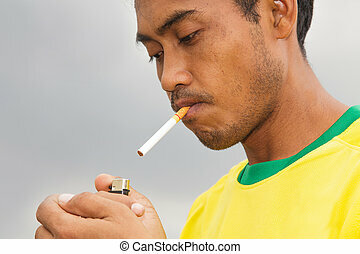 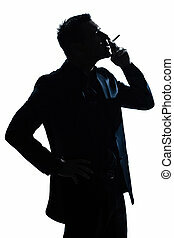 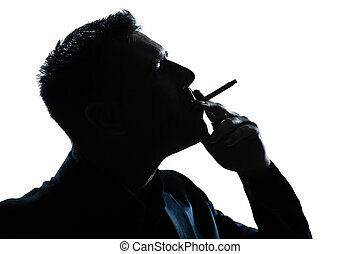 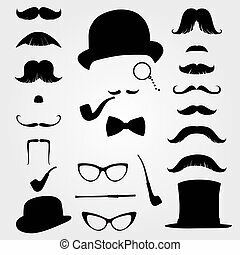 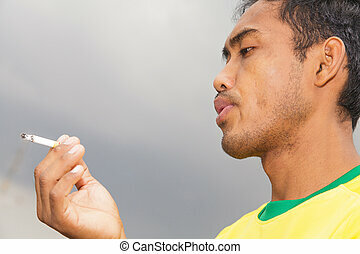 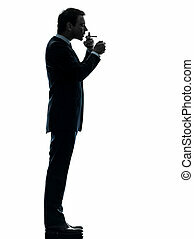 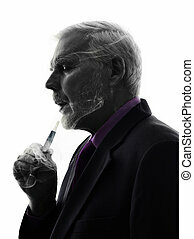 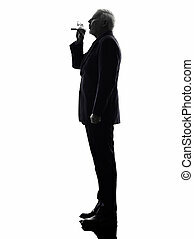 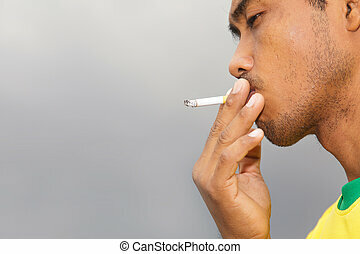 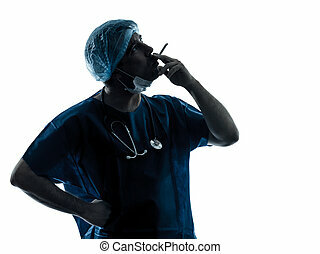 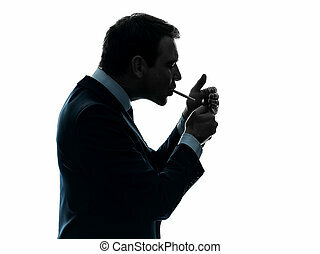 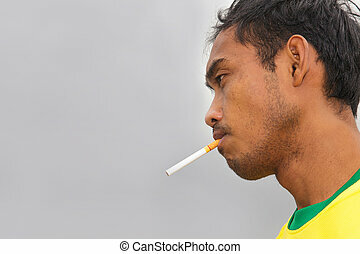 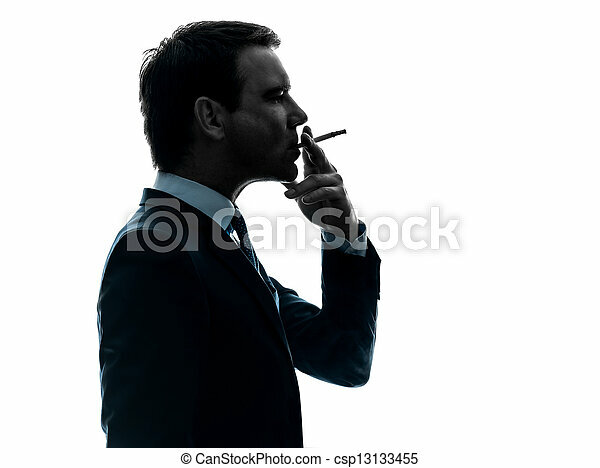 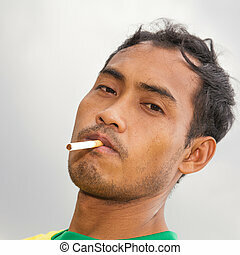 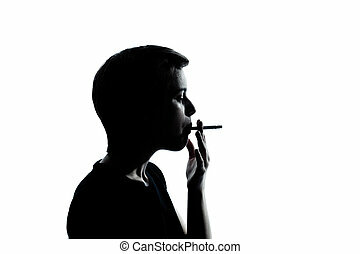 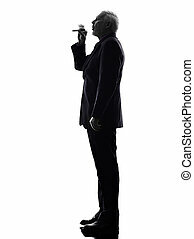 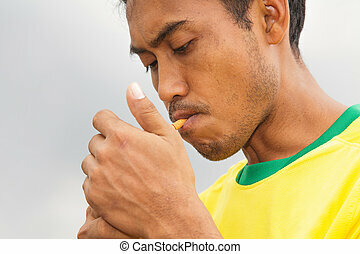 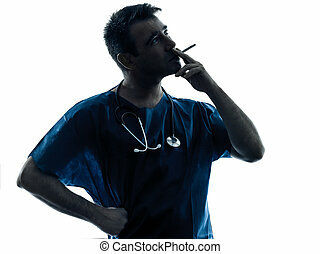 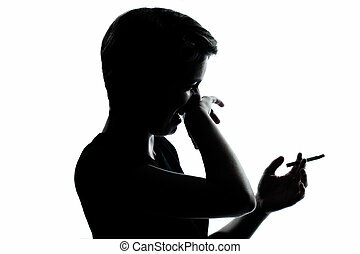 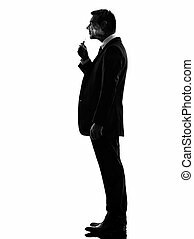 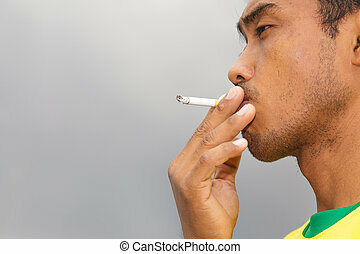 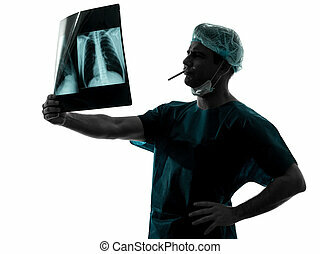 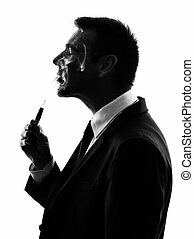 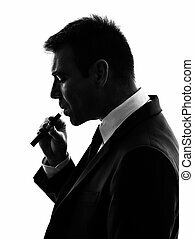 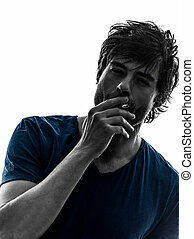 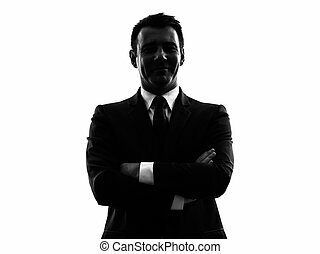 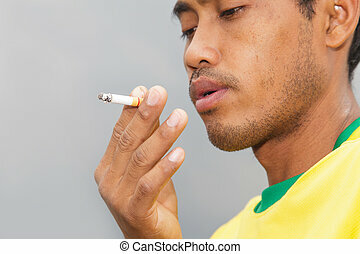 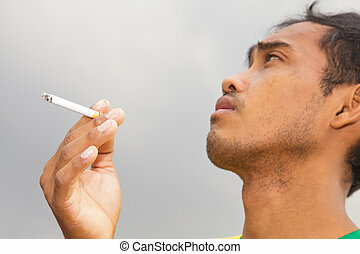 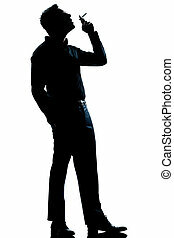 One caucasian man smoking cigarette in silhouette studio isolated on white background. 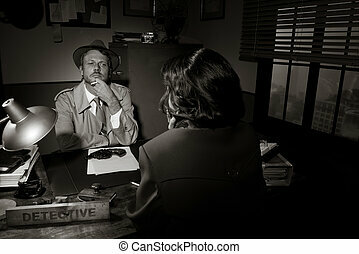 Handsome detective at office desk interviewing a young woman, 1950s film noir style. 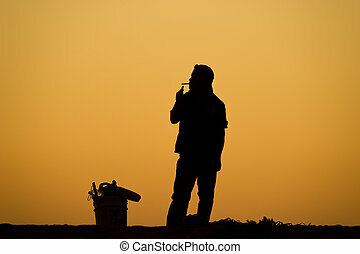 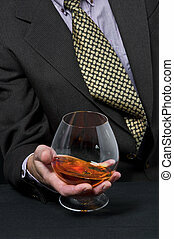 A man smoking a cigaette is silhoueted agaist an orange sunset sky.